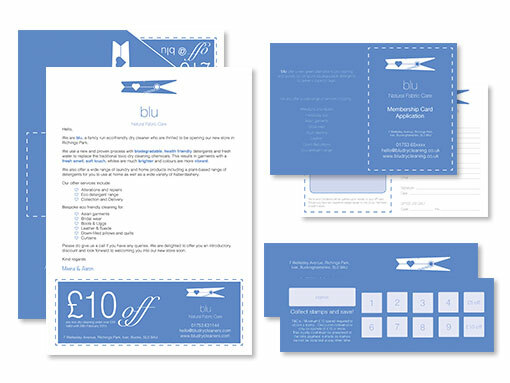 As a business setting up in a new area blu commissioned me to design a number of promotional and merchandising materials for print. 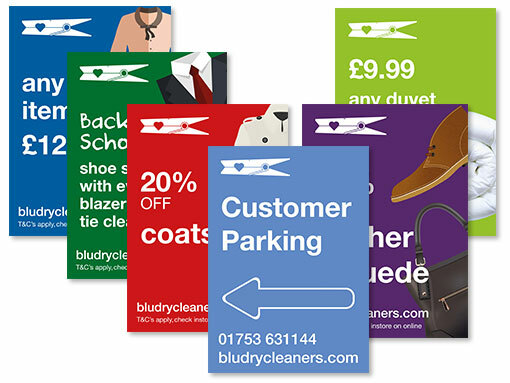 Designs included loyalty cards, offer letters and A1 promotional signage. I have also designed for them a range of NCR forms for their hotel dry cleaning contracts.